THE Papua New Guinea Hockey Federation announced its men’s and women’s squads for the Oceania Cup championships in Sydney, Australia, later this year. 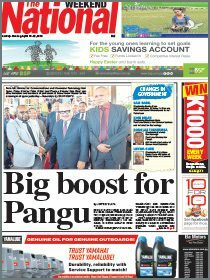 PNGHF president Kaluwin Potuan said the players were picked from three associations – Port Moresby, Lae and Kimbe. Hockey Australia would host the 2017 Oceania Cup from October 9-15. Kaluwin said the players would undergo training in Port Moresby before leaving for Sydney and appealed to business houses to support the teams at the Oceania titles. “Hockey needs over K100,000 to send our men’s and women’s squads and we would appreciate any support from government statutory bodies and companies,” Potuan said. He said the federation had also imposed a K3000 levy on individual players and officials. He said the fees needed to be paid by Aug 11. “Taking part in regional championships is good for the sport as it will gauge our performance against other regional contenders,” he said. PNG, Australia and New Zealand will be taking part in the 11-a-side competition while other island countries will take part in the five-a-side hockey. This hockey 11s event is open to all countries in the Oceania region. The Oceania Cup is the continental championship from which the winner of the men’s and women’s divisions qualify for the 2018 World Cup. The women’s World Cup is in London in July 2018 and the men’s World Cup in India in Nov 2018. Men – Hahee Kusunan, Joseph Potuan, Andrew Potuan, Hussein Lowa, Milton Kisapai, Michael Potuan, Kusunan Pokiap, Molean Poweseu, Andrew Raumai, Chakumai Siski, Ignatius Pou, David Tapo, Kiapin Pondrelei, Stanley Solien, Thomas Kisokau, Parkop Kisokau (POM); Simon Kichani, Jessie Dusty Patrick Junior (Lae); Manoi Pokiap (coach), Harry Kaisa (manager), Lionel Hebei (technical official). 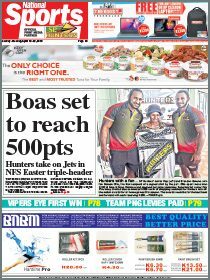 Women – Rosemary Miria, Rachel Rabbie, Nikita Terence, Lola Illimpui, Mary Kahai, Ruby Kisapai, Bianca Elly (Port Moresby); Venesa Perry, Roberta Walo, Taita Roama, Kari Raurela (Lae); Monica Wadi (Kimbe); Sapau Tapo (coach), Shiela William (manager).